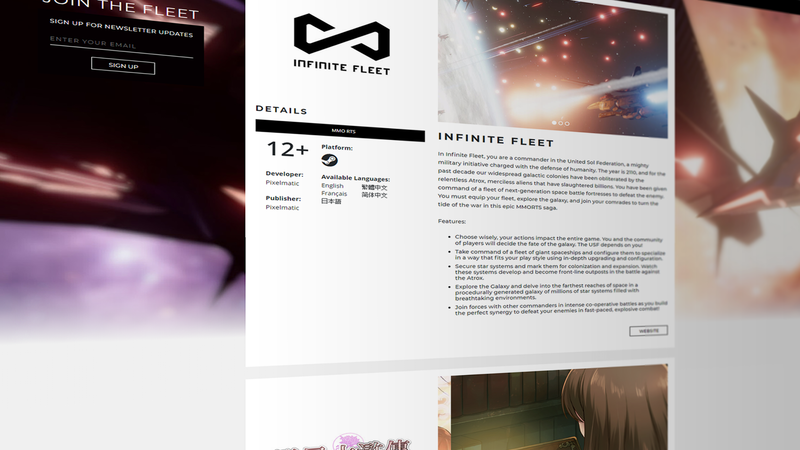 The past year has been exhilarating for Pixelmatic; we finally announced our epic MMORTS project, Infinite Fleet, we moved into a brand new office, we have expanded our team, and now we have a sleek new website to give you all the scoop about what’s happening. So keep watching this space as we bring you news on our exciting projects. You can learn more about our team, and even check out the jobs page to see if you’ve got what it takes to be part of our elite squad. We hope you like the new design and spread the word on the social media links below so more people can join in our journey. Also, go to the Infinite Fleet website for more information on the upcoming AAA MMORTS game that we are working on. We are very excited about this project, and we are sure you will be too. Pixelmatic Announces Infinite Fleet Pixelmatic and Discus Bring Romance Story Game Water Margin Love Star to Greater China Changwon National University Global Start-Up Field Trip Visit Happy Holidays!